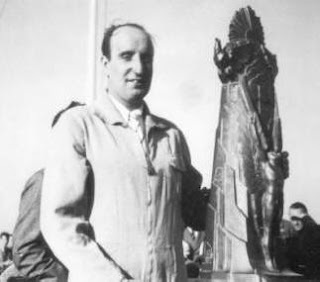 Michael Detroyat who won both the Greve and the Thompson Trophy Race was no stranger to the National Air Races, having performedaerobatics at several NAR's. 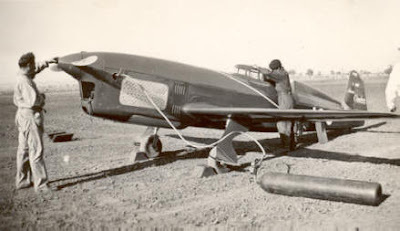 There was a lot of complaining about the French sponsored airplane, especially by Roscoe Turner. However the original deed of gift from Charles E. Thompson invited foreign nations to enter the competition. 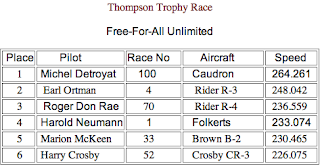 1936 was the first and only year that a foreign aircraft and pilot were entered in the Thompson Trophy Race. France, and especially the Caudron Aircraft Co. had campaigned and won many races in Europe. 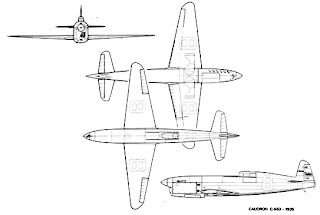 The racer was equipped with a air operated retractable landing gear system and a two position air operated Ratier propeller which gave Detroyat a great advantage.The aircraft arrived with two engines, a 330 hp. engine for the Greve Race and a 380 hp engine for the Thompson Trophy Race. After winning the Greve, a decision was made not to change engines. Michael Detroyat (sometimes call "Detroit" by Americans) returned to France with some 14,850 American dollars, a large chunk of money for 1936. Color was overall dark glossy blue with a red/white stripe on fuselage. and white lettering.